There is once again a new brewery in town in Vancouver! It feels like I just wrote these words the other day but here I go again. 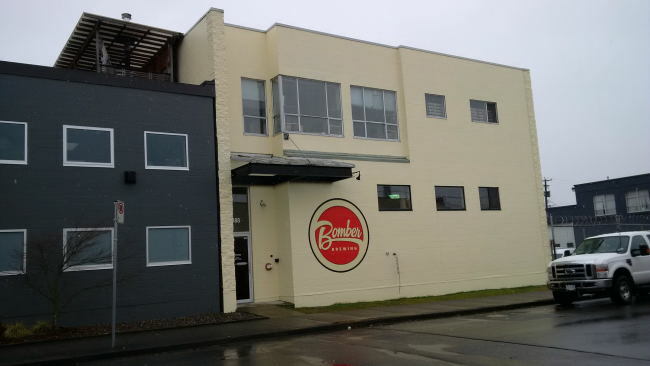 Like many other breweries in Vancouver this new gem is located in East Vancouver. The story of how this brewery started is really interesting and should be discussed right from the start. 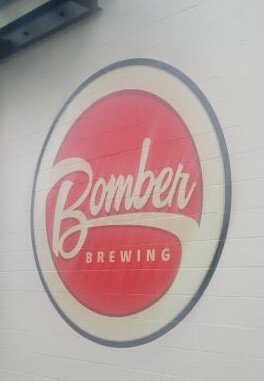 Three of founders (Correct me if I am wrong) of the brewery have played on a beer league hockey team named the “Bombers” for a long time. Blair Calibaba the now Brewmaster had been home brewing and supplying high quality craft beer for the team for years. One day they decided that the should start a craft brewery as they had experience in the Restaurant Industry with one of the three owning BierCraft Restaurants and Incendio Pizzeria, brewing experience and marketing experience between the three of them. Even their can design incorporates the stripes from their Jerseys! If you needed another reason to love Hockey there ya go! It was the birthplace of our newest brewery. Starting off in the tasting room they are set up as a lounge although I am not sure if the proper licensing has been acquired yet to act as a lounge. They have a bar with all of their current beer on tap. They also have growler fillers so you can pick up a growler and keep it a while before opening. To finish it off they have a nice big cooler set up with all of their currently offered beers stocked. Next I was given a quick tour of the brewery. They are a small setup and compact but the use of space is very efficient. The brewhouse, bottling machine and canning line are all located on the main floor. Lucky for them this building used to house a seafood factory and as such had most of the drainage system and cooler already installed. Next we headed upstairs. Upstairs you will find their grain mill as well as all of their storage. You need a ton of storage when you decide to can beer as you have to order cans by the container truck. They also have a bunch of empty barrels to fill with beer. Again they got lucky with this building as the second floor is designed for heavy loading and storage. For their opening they have three canned beers to offer including ESB, IPA and a Pilsner. They also have a Shut Out Stout in Bombers named for the Goalie on the Bombers Hockey Team. All of their Bombers will be named after team members. So head over to their tasting room and enjoy some very tasty craft beer. This entry was posted in Brewery and tagged bc, beer, bomber brewing, canada, craft beer, east van, east vancouver, esb, extra special bitter, india pale ale, IPA, pilsner, vancouver. I was just there for the first time (article very soon). Great little spot for sure! Awesome! And I even beat you to it! Glad you liked it too. Big fan.